There can be a lot of loose ends to tie up when you build or buy a new home. One of these are your house keys and locks. While the Realtor may have what he or she claims is the only set of keys to the home, you have no way of knowing this for sure. 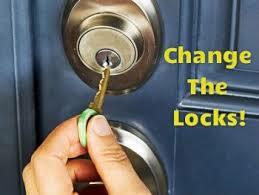 You will want to change the locks or re-key as soon as you move into a new home or apartment. You can’t know to whom the previous owners had handed out spares. If the home was listed using the MLS (Multiple Listing Service), many Realtors have had access to the keys through the lockbox placed at the house. Should a criminal gain access to the lockbox, he could make copies and then simply wait for you to move in. Having a key makes robbing you and your family as easy as opening the door and walking in. If you have build your house or are remodeling, make sure to give contractors and visitors access to just one, easily-rekeyed door. Most people just assume that changing locks on houses applies to older homes that have had more than one owner. This is not necessarily the case. 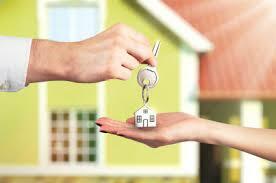 Home builders often hand out keys to the various contractors working on their homes. Not all of these keys make it back to the builders. It only makes sense to have new locksets installed to ensure you are the only ones who have the keys to your new home. When you buy a new home for your family, it is your job to ensure your family is safe at all times. One of the best ways to do this is to take care of all the keys and locks on the house before you and your family move in. You can do the work yourself or you can pay to have a locksmith to do it for you. You have no way of knowing how many copies of the keys to your new home are still out there. Replacing them ensures you are the only ones who have the keys, keeping your family far safer.